Orion is scared of more or less everything. He's terrified of wasps and monsters, afraid of sheds and storms, panicked by spiders and fearful of heights but there is one thing that scares him more than anything else. Most of all he's scared of... The DARK! Join Orion on an adventure as he faces his biggest fear and find out it's friendly! A heart-warming tale of friendship, adventure and overcoming your fears. 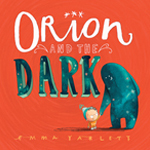 Based on the book by Emma Yarlett, this is the perfect treat for everyone aged 3 and up. Nutcracker! The Musical is a story of magic, far away places, fairy tale kingdoms, of love, friendship, family and most importantly imagination. 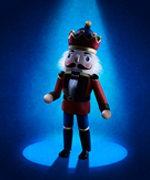 With a modern musical score influenced by Tchaikovsky's famous ballet, this fresh new look at the original Nutcracker story will enchant audiences of all ages. Teenage Marie is too old to play with dolls but there's something intriguing about the nutcracker given to her by her old Uncle Drosselmier. He seems lost in time. Long ago in the fairy tale kingdom of Chronenburg, the beautiful Princess Pirlipat has been magically disfigured by the evil Mouseyrinks, Queen of the Mice. King Wilhelm enlists the help of the mystical Royal Clockmaker to break the curse. Will a little magic and a lot of imagination be enough to discover the secret of the nutcracker and rescue the people of Chronenburg from the clutches of Mouseyrinks' spell? Nutcracker! The Musical is written by multiple Emmy Award-winner Nancy Holson, with orchestration by Bruce Kiesling and Paul Rigano and directed by Ollie Fielding. This show promises to be a Christmas cracker! "A superbly great show that keeps its audience entertained from start to finish." "This lively and colourful version of The Nutcracker is a welcome addition to the Christmas shows around London." "The dance numbers are spectacular... Kids will eat it up." 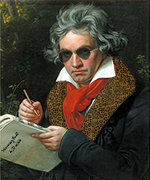 He’s written operas, sonatas and symphonies. Now he brings his epic piano skillz to the cabaret circuit. 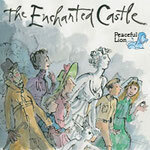 Based on a book that could only have come from the wonderful imagination of Russell Hoban and brought vividly to life by illustrator extraordinaire Quentin Blake. "There are songs, dancing, shouting-out, silliness and warm fuzzy love a-plenty. The 100-plus strong audience in this spacious but intimate venue were enraptured and all left wiping tears of joy, nostalgia and happiness." 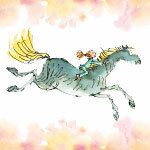 "Visually inventive and captures the essence of childhood "
Dramatisation based on the book Rosie’s Magic Horse by Russell Hoban illustrated by Quentin Blake © 2012 Quentin Blake and Russell Hoban. Licensed by Walker Books Ltd., London. 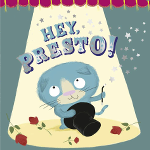 Presto the cat is a very talented magician, so when he and his best friend Monty the dog, join a funfair and start a magic show things look good for the duo. But fame goes to Monty's head and soon Presto loses his friend and his show! Will true friendship prevail? Is there a touch of magic in the air? Based on the book by Nadia Shireen, a heart-warming tale of aspiration, friendship, adventure and a little bit of mischief accompanied by catchy songs, this is the perfect treat for everyone aged 3 and up. Snail is feeling down, everyone else has their own nursery rhyme except him. 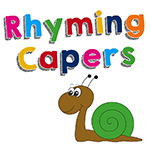 He sets off on a journey through the rolling hills of Nursery Rhyme Land in search of a suitable verse about snails. Along the way he meets many memorable characters including Little Miss Muffet, Incy Wincey Spider and the Muffin Man. Snail feels lost, he doesn't quite fit in and the people he meets are rather scary. The aim of our Theatre for Hospitals programme is to provide regular theatre performances within a healthcare environment for audiences of inpatients and outpatients along with their families, hospital and clinical staff in order to facilitate and enrich the development of a community of care to enhance the health and well being of the children. 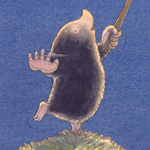 Mole burrowing out of the ground sees the moon for the very first time and thinks it is the most beautiful thing he has ever seen and wants to play with it. Based on the book by Jonathan Emmett and illustrated by Vanessa Caban this is a heart-warming tale of aspiration, friendship, adventure and a little bit of mischief, this is the perfect treat for everyone aged 3 and up. "With just the right balance of storytelling, music, song and audience participation, the cast of four brought the book to life in a way that was engaging and entertaining"
"Children, on their feet and dancing, are delighted"
"Charming production... a lovely way to start off a weekend or holiday morning with the family and put smiles on the faces of old and young." "A wonderful experience – it was engaging, interactive and pitched at the right level for our Early Years children. Many thanks." Returning to the Pleasance Dome for the Edinburgh Fringe 2008 with another children's fantasy based on a book by Edith Nesbit. A toy city magically comes alive, leading two children on an incredible adventure. Bursting with surprises, extraordinary characters and fantastic puppets. Follow Philip and Lucy into an enchanting world. A fun-filled story with a uniquely beautiful set and original score. "The adventure of a lifetime... delightfully creative"
"Evident theatrical skill... Blytonesque eagerness"
"Great show... gorgeous to look at...kids will love it"
When a power-cut results in murder, frustration turns to fear. 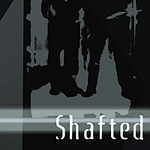 In the confinement of a stalled elevator, two co-workers stand over a lifeless body. But who is the killer? Dark and engaging - a murder mystery with a psychological twist. "This well written play is excellently directed by the writer who draws fine performances from the three actors." "Brave engrossing theatre from a young company"
Overflowing with magic and surprises; this charming adaptation of Edith Nesbit’s timeless fantasy follows the summer adventures of four children who discover a troublesome wishing ring. Extraordinary creatures come alive and anything can happen in this fun-filled show, marking the novel’s centenary year. 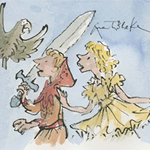 The show included original poster designs by Quentin Blake and an original score. 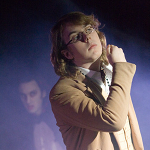 "The actors engage and inspire their young audience... An hour of fun"
"The cast bring boundless energy to it all"
Dracula was Peaceful Lion Production's first show. A unique theatrical event staged outside, this was an ambitious and adventurous project. The audience sat snugly in a heated marquee while the action happened in a dark and eerie setting escaping out into the night, lights and mist provided a brilliant but scary atmosphere. The script closely based on the original written especially for the production presented the Gothic, frightening story that made Dracula a horror classic. "Enriching the atmosphere and chilling the audience... the production is extremely well conceived... hauntingly effective... The image of Lucy resting in her open coffin is likely to stay with you long after the lights go down, and follow you into bed."